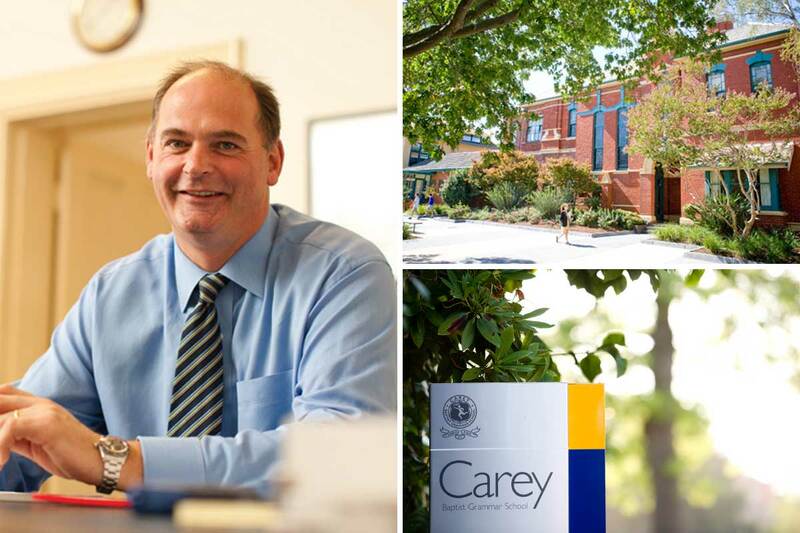 As the father of two daughters, both Old Carey Grammarians, I also understand the hopes, questions and anxieties many parents have in considering a new school for their children. I can tell you, from my own experience, and from welcoming so many new Carey families in my time as Principal, that Carey is a friendly and inclusive community. Carey parents may be a diverse group — coming from many different cultural, social and religious backgrounds — but there is no doubt that we are all united in a common goal: wanting our children to thrive. Schools are primarily about young people, and especially about helping them become the best they can be. We offer our girls and boys every opportunity to grow into communicative, creative, critically-thinking, curious and community-minded young adults. Carey students are offered flexible pathways to achieve their goals and develop clear strategies to achieve them. We expect our students to think, problem-solve, reflect and respond to the meaningful feedback they receive. We also believe passionately in co-education and maintain an even gender balance across the whole school. We actively foster an environment in which healthy, respectful friendships are built. At Carey, we also believe that the quality of the education your children receive can never exceed the quality of our staff, and the Carey staff is outstanding. They are passionate about education, highly qualified and enthusiastic people who have the best interests of our students at heart in everything they do, whether it is a part of our academic program, co-curricular activities or caring for student wellbeing. I am incredibly proud of our school and the people who make up its community. Please enjoy taking the time to explore the wonderful opportunities that we can offer your child.